It’s hard to fault someone for trying to fix a problem by themselves, however, it’s not always the best option out there. In some cases, like with a water damage cleanup process, it is recommended to wait for a professional to help clean up the mess. Here are 4 major mistakes that people make when they are trying to clean up a water disaster by themselves. One of the absolute most important things to do is to find out what the source of the water is. There are different categories of water depending on how dirty and contaminated it is. If the water source is from a leaky pipe under the sink, it may be pretty safe to handle. However, if the “water” damage is from the sewer, then you are not going to want to deal with that. The contaminants in sewage and other water sources can make you extremely sick and should only be dealt with by a professional. Many people think that if they clean up the surface water off the ground, the problem is fixed. If water has been absorbed in the drywall or in the sup flooring of your home, you could develop mold growth or soft spots in the walls and floors. It is vitally important to the life of your home that you dry the area thoroughly inside and outside the walls. The only way you can know if every last drop of moisture is dried is if you have thermal imaging like the professionals at JNT Restoration in San Marcos. 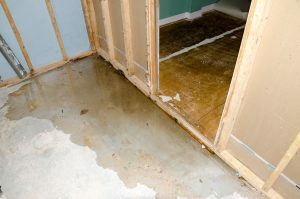 Another common water damage cleanup issue is if people let the mess sit for an extended amount of time. This happens commonly in vacant houses that are on the market for a long time or in vacation rentals that sit empty. If you allow water to sit on any surface in your home for long, it will start to deteriorate the area and spread to other areas as well. Some people get scared that water damage cleanup will cost an arm and a leg and so they try to fix the problem on their own. The fact of the matter is that many restoration companies are fairly priced and work with your insurance. It is worth it to at least get a consultation. If you don’t fix the problem immediately on the first try, you could end up needing to pay for repairs that are much worse than the initial estimate. It is important to remember that water damage cleanups should occur as quickly as possible and by a professional. You can, of course, handle minor spills and leaks, but anything bigger may require tools, knowledge, and technology that only a professional crew has. Thermal imaging, commercial grade fans, and water vacuums are just a few of the helpful tools that a water damage restoration company can use on your property to restore it to its original state.